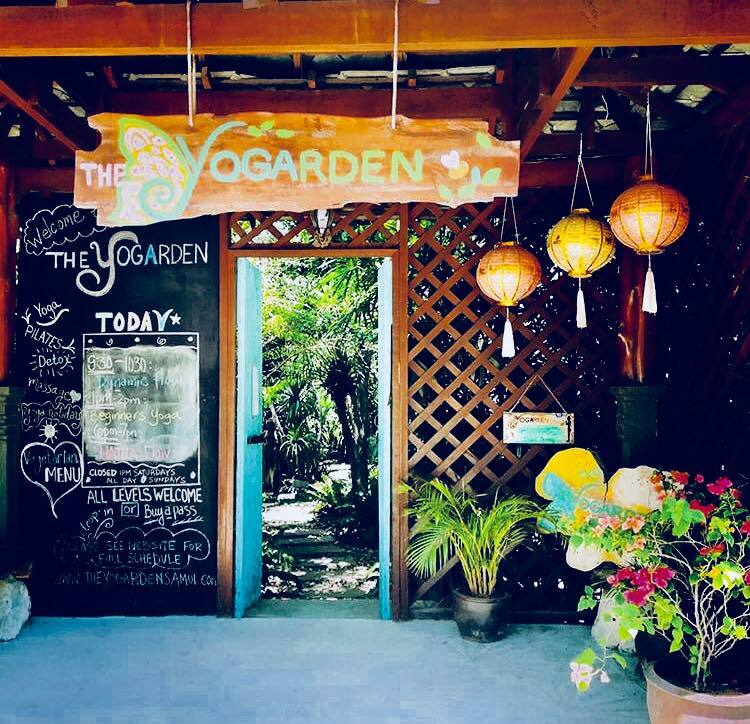 In 2019 the Gem Yoga 200HR Vinyasa Teacher Training course will take place on the beautiful Thai island of Koh Samui. The course is an intensive 26-day (200 hours) training program specifically designed for up to 10 students. The Yoga Shala is situated next to the beach on Koh Samui. You will learn in a relaxed, fun, inspiring environment and be fully supported from the beginning to the end of your journey. 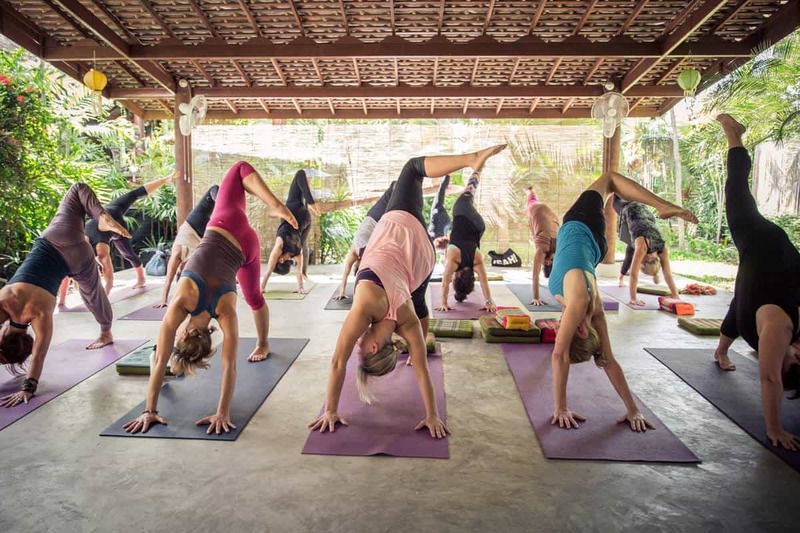 Gem Yoga is offering you the unique opportunity to express your love and enthusiasm for yoga – for life. Take your yoga practice and inner exploration to the next level with our 200HR YTT course. Students will be given the tools, skills and knowledge to establish their own successful yoga business. Whether you want to teach, deepen your own practice methods, need help with finding an authentic voice or build on experience gained on other yoga courses, this program is for you. On completion of the 200HR course, you will be fully qualified to teach yoga worldwide. Open the door to a world of yoga, opportunity and self-exploration with Gem Yoga. Gemma Williams has been teaching yoga since 2008. She has travelled extensively to learn from different yoga backgrounds. 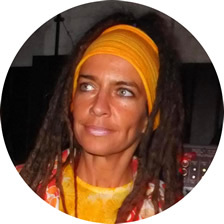 She is registered with the Yoga Alliance, is an experienced advanced teacher (E-RYT 500) and a Yoga Alliance continuing education provider (YACEP). 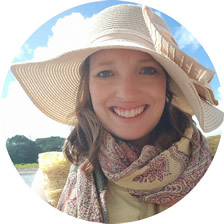 Gemma’s approach to teaching is fun, compassionate and inspiring. 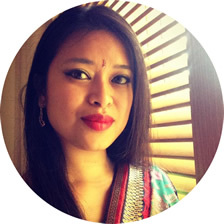 She will guide and support you through your individual yoga journey and take you deeper into the practice. ASANA PRACTICE: Daily asana practice. Morning class will be a Vinyasa flow class. Classes will demonstrate dynamic sequencing to achieve peak postures and help you delve into your practice and being, observing the daily shifts and magic happening in your body. You will also cover and practice Ashtanga and Yin yoga. PRANAYAMA (breathing techniques): Daily morning practice. Learn the importance of pranayama as part of your yoga practice. Prana is the life force energy that allows us to be. It is a good way to alleviate stress and tension, supporting optimal bodily function. Pranayama practice allows you to build mental and emotional strength to help maintain a sense of wellbeing – on the mat and in life. MEDITATION AND MANTRA: Daily morning practice. Exploring a variety of meditation techniques. Understanding what it means to meditate and its health benefits. Self-exploration of a meditation practice. Learn to sing mantras and experience the spiritual and transformation effect on the body and mind. ANATOMY AND PHYSIOLOGY: Understand the body’s mechanics and functional movement patterns. Learn basic body systems, muscles and bone structures relative to teaching yoga asana and aiding your students. Learn how to modify asanas and how to assist students with areas of weakness. You will also learn myofascial release techniques. ASANA WORKSHOPS: Afternoon workshops will be fun and interactive covering: alignment focus, hip opening, inversions, transitions, back bending and sequencing theming planning. TEACHING METHODOLOGY: Learn to plan and teach safe, effective Hatha and Vinyasa classes. You’ll be encouraged to find a unique voice and style and guided to help find your inner confidence to practice as a yoga teacher. Teaching methodology sessions include: opening a class, sequencing for Vinyasa flow, instructions, relaxation techniques, demos, prop use, corrections and modifications, closing a class. 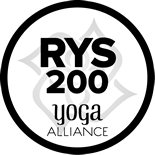 YOGA PHILOSOPHY: We will explore the insightful in-depth yogic philosophies. We will study Patanjali’s Yoga Sutras and discuss how they can be incorporated into your daily life. YOGA BUSINESS & ETHICS: You will learn practical tools to help you run a successful business as a self-employed yoga teacher. We will cover: accounting, marketing, admin, time management and social media. We will look at your money blocks and see how to improve your current money beliefs, to move towards a life of financial freedom and abundance consciousness. 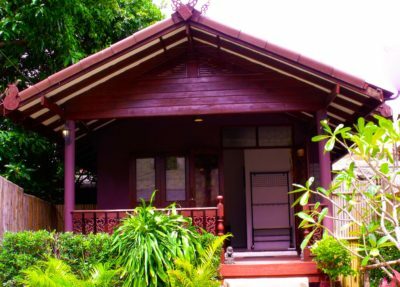 Pelegrin Hotel is a small, family run guesthouse in Fisherman Village on Koh Samui, known for its friendly staff and cleanliness. It’s close to local cafes, restaurants, the beach and Yoga Shala. A highlight is the amazing views from the hotel’s rooftop terrace. 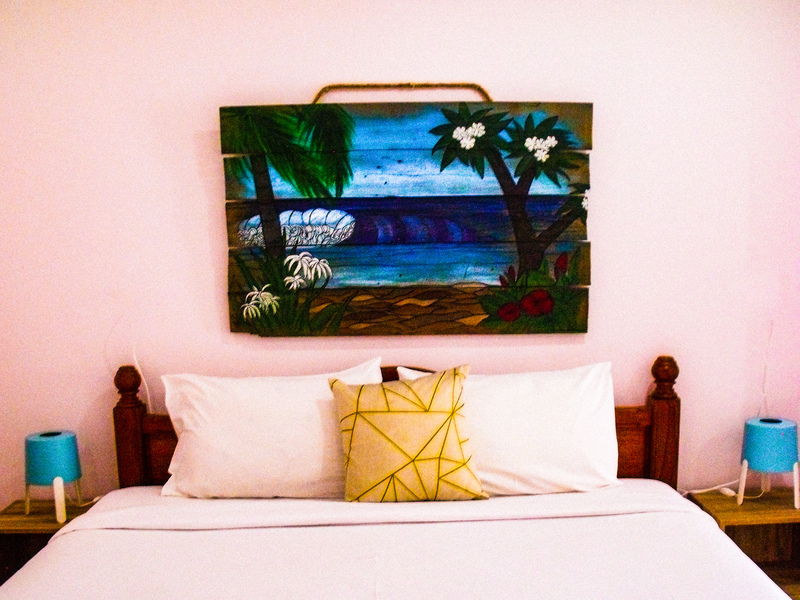 All rooms are minimalist in design with a beach house charm to them. 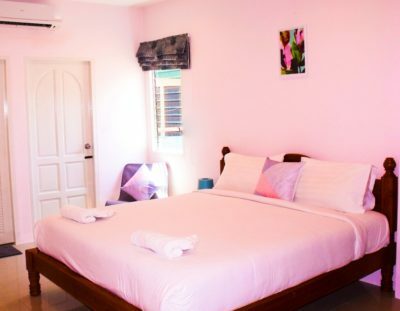 All rooms feature air conditioning plus standing fans, private balcony (rooms with varied views; garden, mountain, seaview and courtyard), en-suite bathroom, TV, mini fridges and a mini bar (at additional cost), work desk or seating area, clothes storage, bathroom amenities, linen, towels and comfortable beds! Safe box and seaview applicable only for Superior AC rooms. In additional, the hotel provides complimentary bottled water daily and tea and coffee making facilities in the room. 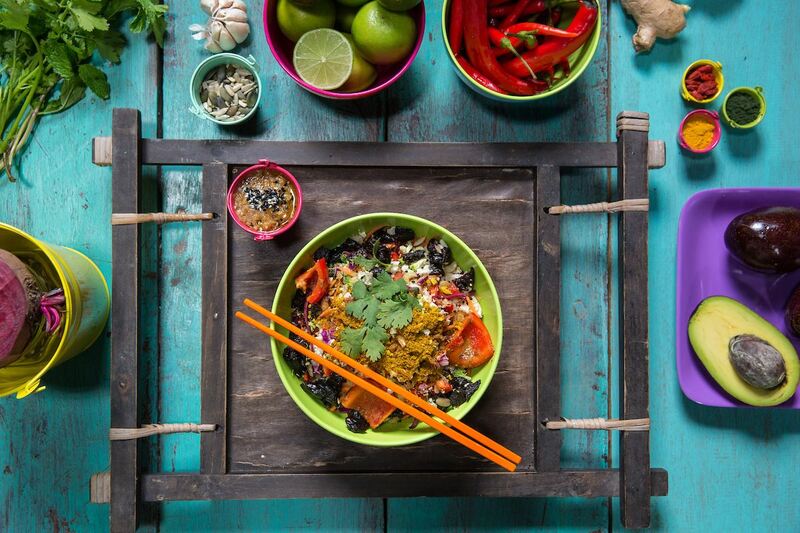 A healthy vegetarian/vegan breakfast and lunch buffet service is provided by local chefs. We will eat after our morning and afternoon classes. There are lots of lovely cheap, local places to explore along the beach for dinner. You will have 3 Sundays off with option to try sunrise or sunset SUP and an activities tour of the island. Open to all ages, abilities and walks of life. It is advisable that you are already regularly practicing yoga with a keen interest in yoga practice, philosophy and taking your personal practice deeper. During the course, students will be expected to teach a one-hour safe, effective Vinyasa class. Written homework will be given throughout the course. Students must commit to 100% attendance – special circumstances of absence will, of course, be considered. Upon successful graduation from the Gem Yoga 200HR Yoga Teacher Training program, participants will be eligible to register with Yoga Alliance. Please respect the yogic principles of yamas and niyamas during the course. You are training to be a responsible yoga teacher and role model to your students. Learn more about the ethical guidelines on my blog here. Fly to Bangkok International Airport with an interconnecting flight to Koh Samui airport. Please arrive no later than Saturday 31st August. Fly out of Koh Samui from Thursday 26th September or stay longer with prior arrangement. Koh Samui Airport is a 15-minute drive to Pelegrin Hotel; transfers to be booked directly through the hotel. No visa required for stays of 30 days or less. Visa required if staying in Thailand for more than 30 days. *You are responsible for your own body. Gem Yoga Teacher Training is not liable for any injury you may receive during the course. "Inspiring, skilful and encouraging – Gemma is an excellent yoga teacher. Her 200HR YTT is a wonderful blend of sharing her knowledge, helping improve skills and confidence, giving us time to practice and creating a supportive class atmosphere." "Gem is a brilliant teacher who delivers a strong practice in a gentle way. I’ve attended many classes run by her – which have all been amazing! She has a deep understanding of every aspect of yoga, which she beautifully weaves through her teaching." 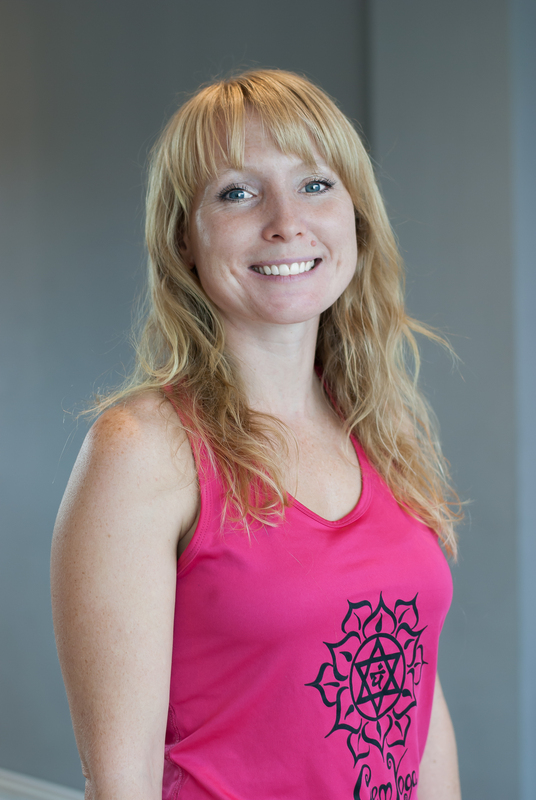 "Gem’s teaching style belies her commitment to the practice of yoga, sharing her infectious energy and love for life. YTT covers all the basics: love of yoga combined with keen business acumen and an appreciation of the competitive world we live in."